In an ambiguous and rapidly evolving environment, leaders know that it is futile to “plan,” “direct,” or “control” change. Artificial intelligence can’t ponder the past or dream about the future. But if we don’t deliberately make space for our minds to wander, we will lose our uniquely human capacity to “time travel,” as Steven Johnson puts it. And in a world increasingly shaped by algorithms, we need to be more human. 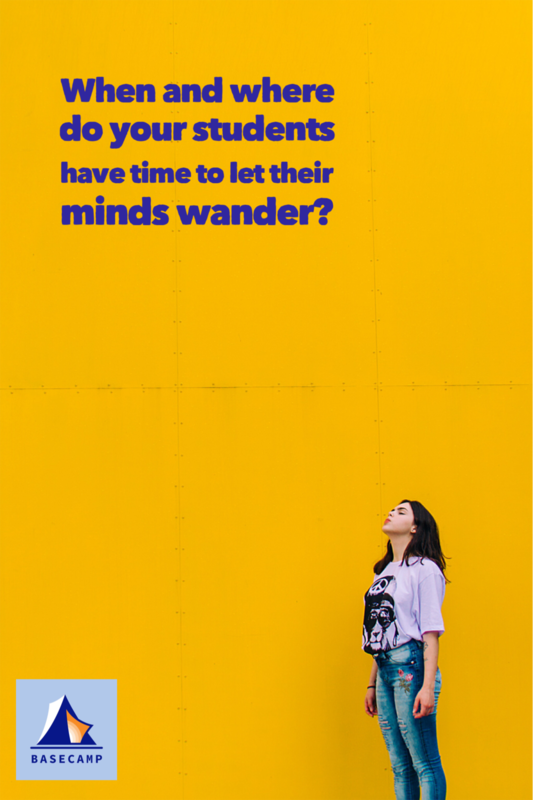 When and where in your school do students have time to let their minds wander? What will happen to them if they don’t learn to know themselves this way? “The University of Illinois at Urbana-Champaign has paid $424,000 to insure itself against a significant drop in tuition revenue from Chinese students. I’m not sure what shocks me more: the fact that Chinese students account for 20% of Illinois’ business school tuition revenue, or the fact that an insurance provider will only pay out if the school first loses $12M from shrinking Chinese student enrollment. One way or the other, this signal from the edge suggests a significant evolution in the higher ed business model—which directly impacts the K12 independent school business model.